Elizabeth Andrew nee Smith was born at 17 John Street Hirwaun and educated at Hirwaun Elementary School. One of a family of eleven, her father was a miner. 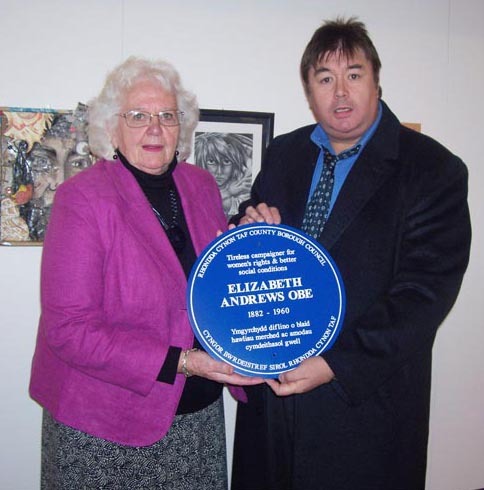 Elizabeth left school at thirteen to help at home, she attended evening classes and won prizes for her essays. Her interest in politics began when she read the papers to her father who could not read English. She became an apprentice dressmaker and met her future husband (Tom Andrews) in the Rhondda. Elizabeth joined the Suffragettes. 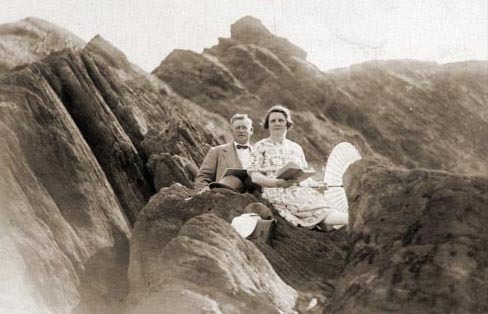 When women were given the vote Elizabeth was recruited as an organiser for Wales for the National Labour Party. Elizabeth Andrews became a champion of women’s rights and a pioneer of reform. Elizabeth fought for pit head baths for the miners, nursey schools for the young, and home helps. Her book “ A Woman’s work is never done” shows how through the years of a male dominated society she persevered and succeeded. Elizabeth was a member of the Ministry of Health Welsh Consultative Council. Elizabeth Andrews was visited by Kier Hardi, Ramsay MacDonald , Mrs Atlee and Miss Slade (Ghandi’s Secretary).